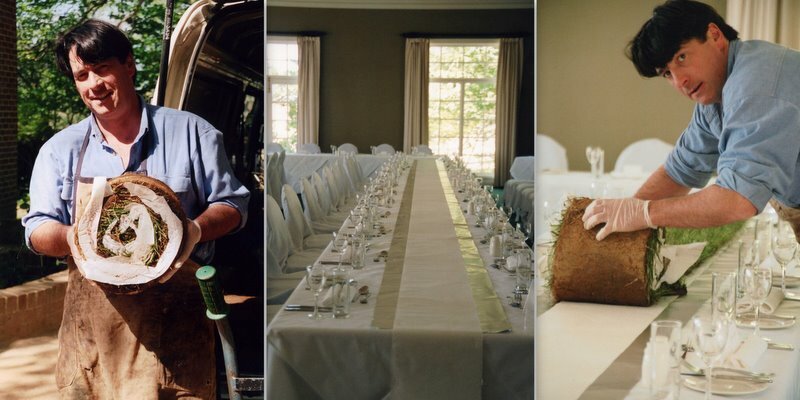 A few years ago I created & styled a wedding for a bride named Annabel who was marrying a young country boy. She was a pink "style" flower girl and so am I, so it was to be a very romantic wedding filled with flowers. 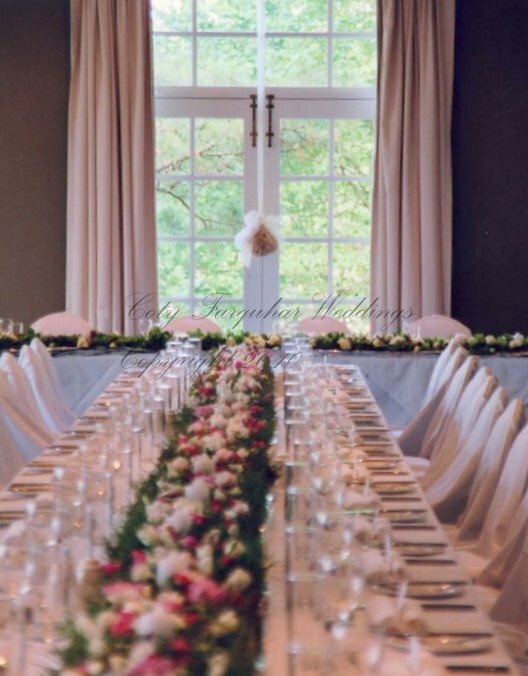 It was a large wedding and I designed the style and look of the venue at a beautiful country hotel called Milton Park here in Bowral . Romantic with a country feel, I had of course the Brides bouquet and flowers to do as well as three bridesmaid flowers, three flower girls hair circlets and bouquets, flowers for hair for all, the mother of brides corsage, the grandmothers corsage, eight flower button holes for boys and father of the bride and groom, then the flowers at the church and the best of all the flowers at the reception. I used Stock, Hellebore, Mini Roses, Sweetpea, Freesias, Lisianthus, David Austin roses, Iceberg Roses and as you can see beautiful freshly cut lengths of real grass complete with all the soil from a farm that grows grass in Kangaroo Valley. I wanted to run the grass through the middle of all the long banquet tables. I know I have shown some of this wedding before on my blog, but today I wanted to show you how I actually created this wedding step by step. With the never ending wonderful help of my dear husband, Andrew, the grass arrived to to our workshop about a week before the wedding and I had to slice each piece up with a very sharp long knive into the size strips for the table. Everything had to be done and prepared before arriving at Milton Park as we only had the afternoon to set up. Once each piece was cut I rolled the grass up with tissue paper and put in a very cool place to keep nice and moist. Once the tables were in position and the white clothes were set & perfect (remembering that once I started this arrangement nothing could be moved). I put one layer one layer of commercial grade foil on the table to protect the cloth, then one layer of absorbent paper towel on top to collect any moisture, which actually looked really nice just like that. Then Andrew laid out the grass piece by piece and sliced off any of the overhang. Then with a couple of my close friends, Mandy and Katriona we cut all the flowers that had been sitting in buckets down to six inches long and just pocked them into the moist grass. They all sat so beautifully upright and I also set thick white candles straight into the grass as well. I turned the edge of the foil up and created sides to the display to seal the moisture in. Then I sprayed the setting with a fine water mist which left beautiful little drops on the blades of grass and flowers. I really wished I had taken a photograph with all the candles, but I was well and truly in bed by then. It had been a big week and a busy day!! We then continued to set the rest of the table with all the flatware, china, glasses, name tags and linen. Then with a ruler we measured each and every setting one by one so they were absolutely perfectly aligned. The pink flowers were used on the three long guest banquet tables and on the brides table I only used green and white hellebores, roses and white sweet pea as seen below with the wedding cake covered in white Lisianthus and the hellebore hair piece for the bride and the button holes that I made for the men. The day started very early and I started with all the wiring and bouquets at the workshop at about 4am, and above me (when I had dark hair) creating each bouquet. Then I was off to the church to do the flowers, then back to the workshop, pack the vans and off to Milton Park to prepare the table settings. There were so many other details to this wedding which were wonderful to create and I will save that story for another post in the future. Thank you for all the wonderful comments and emails that I have received over the last couple of weeks. I am so fortuate to be part of this wonderful blogging community. I have had a little break away from blogging and my computer and spent some amazing time on a retreat spoiling myself and my family with just pure loving energy. I feel fantastic and I recommend that everyone (if it's possible) to step out of our busy day to day life and think about how lucky we are to be on this amazing planet of ours, and also especially as yesterday was Earth day. If I could I would spend each day in my garden or just surround myself with flowers. Wishing you all a wonderful week ahead full of creating and inspiration and thank you for visiting me and my blog. Don't forget to go to Susan's Tablescape Thursday party today to see all the magnificent settings. I think I am going to have to fly to Australia someday soon to see one of these gorgeous events in person! SO spectacular! 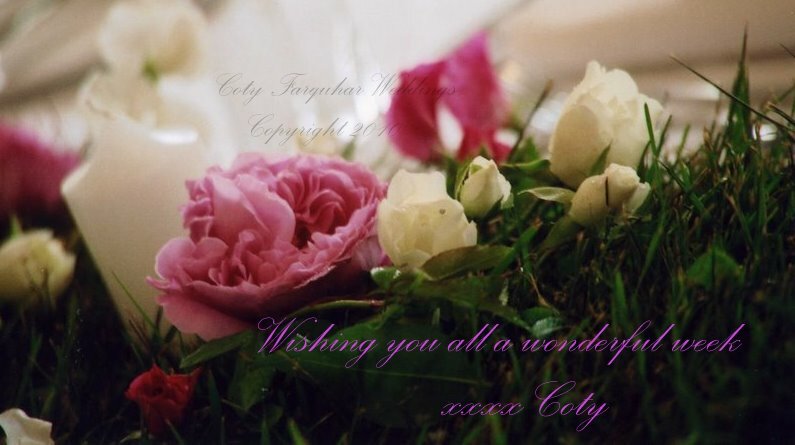 Your centerpiece is so clever and very beautiful! that looks like an absolute dream wedding. I wish bride and groom so much luck as they had roses on their wedding. If I had to marry today, I couldn't imagine someone better, than you, to decorate the party. Stunning! What a wonderful job you have; and you obviously are very good at it! 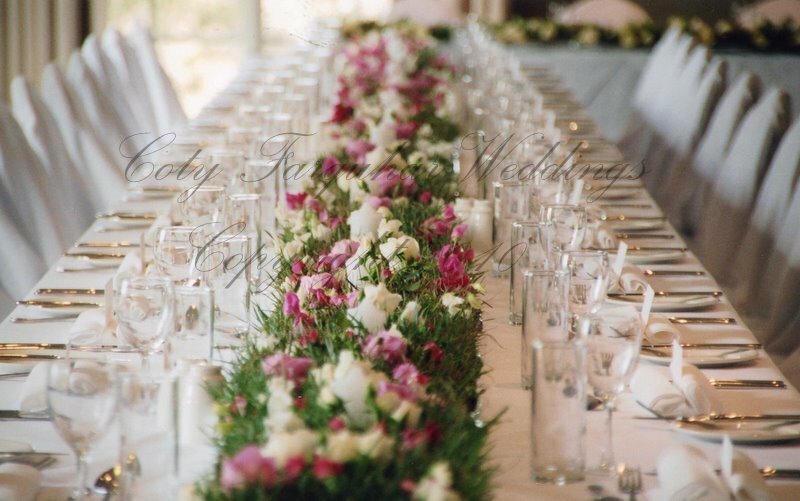 I'm sure this bride was very happy with these stunning tables and all the flowers you did for her wedding! It's so beautiful! What a gorgeous wedding. I'm sure it was a beautiful celebration. Beautiful tables. 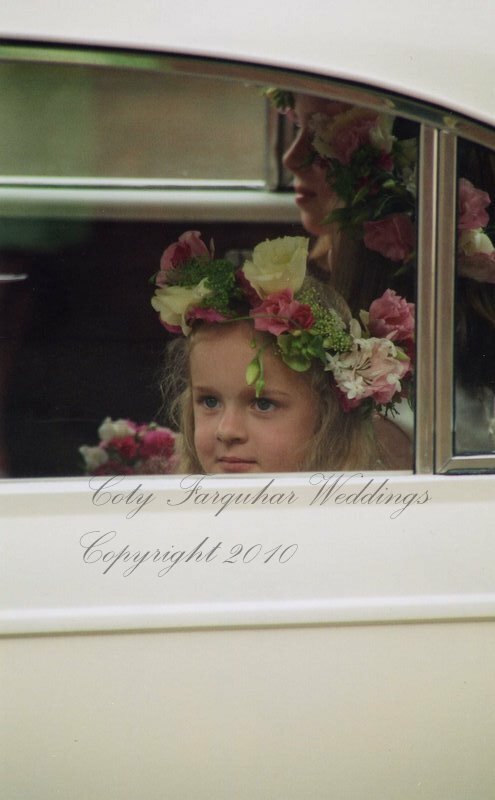 The flower girls remind me of Princess Diana's little flower girls. Nothing is more romantic than a wedding. I think you are probably living a life I would have loved. I'm not a jealous person, but whenever I visit your blog, I do think how cool it is to earn a living styling like you do! Your rolled turf down the table was a brilliant idea, can't have been easy not getting crumbs of earth on the white table cloth. Looks fantastic. If I lived nearer, like your side of the world, I'd be knocking at your door, begging you to take me on as part of your team! Really an amazing wedding reception venue.. No words to say about it.. Great work..
Insanely beautiful. What a very lucky bride!!! I opened your page up and the minute it popped up I went oooooohh! I love this A LOT! You are one talented lady. I will have to check your blog DAILY! Thank you sooo much for sharing! Stunning table...I love the little girls' head pieces, just fairy tale gorgeous. This was so beautiful!!! Clever.....but tell me, did you treat the grass with a bug killer? I would like to try this for my dauhgter's wedding. Thank you for the idea! Love all the flowers! What a clever idea for a centerpiece, and how labor-intensive! Very beautiful! What a brilliant idea for the centerpiece! It is just stunning. The wedding looks like a dream wedding--all the flowers are exquisite and perfect. You photographed it all beautifully too. Coty, you are such an artist, and my inspiration. Extremely beautiful! You are very talented. Glad you take the time to share with us. Gorgeous tablescape! 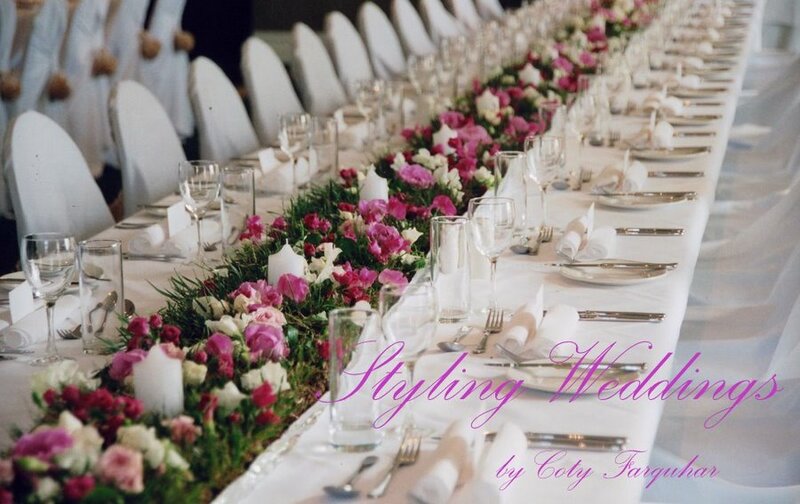 What a labor of love styling weddings must be. This is just outstanding...the flower selection is lovely, I can almost smell the fragrance from here! I am in awe! This is amazing and I know so well how much time, love and creative energy would have gone into making this such a beautiful and memorable wedding. Well so sorry to be late.. in fact I thought I had already commented so must have mucked it up somehow.. or as we Aussies say.. buggered it up..
oooooo Coty...I think I am in heaven after seeing these pictures...it must look like this over there..
Wow - so gorgeous. You are unbelievably multi-talented!! Not sure if I let you know already that I wrote about you on my own blog. Check it out! Beautiful!!! 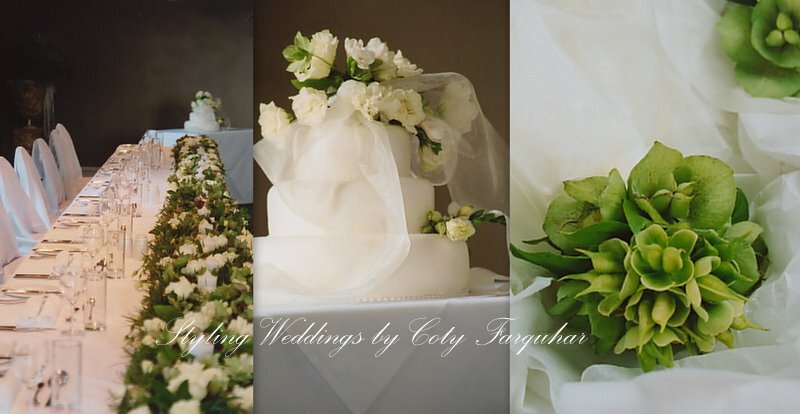 As a recently retired wedding designer, I totally appreciate the hard work and creativity that goes into each design. You have a very halepful (and handsome!) hubby who is a great help, and that goes a long way! Very pretty all 'round.